by Max Daniel Designs, Inc. 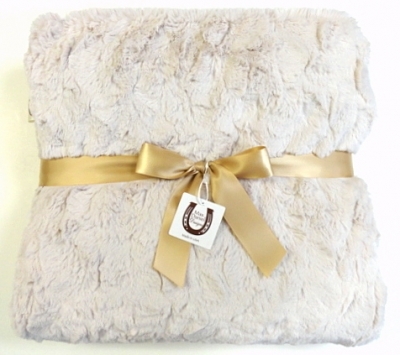 The new Luxe Bunny Baby Blanket is the world’s cuddliest blanket, guaranteed to soothe and comfort your baby! It is double-sided to ensure maximum snuggles, and the sweet champagne color matches any nursery! So soft and wonderful to the touch. V.M. So comfortable and cuddly. Your baby would love it... Moms will also.